Since 1976, Blacoh has been solving pump problems wherever vibration, pressure fluctuation, non-steady flow, noise, or rapidly wearing pump cause a problem or prove to be a hindrance to an application. Blacoh products not only prevent problems from occurring as a result of pulsation, vibration, water hammer, surge and the like but also improve the efficiency and longevity of the pump. From the harshest chemicals to the most delicate products, Blacoh fluid control products can be found in many of the largest oil, pharmaceutical, food, chemical, and petrochemical companies. When a pulsation dampener is ordered, Blacoh builds, tests, and ships it within a day to ensuring quality and superior delivery time. Blacoh’s customer service is impeccable. Every person who calls Blacoh receives the company’s full attention as if they were their only customer. Blacoh sells pulsation dampeners and surge suppressors, inlet stabilizers, accumulators, diaphragm seals and Valves, and leak containment. The Blacoh pulsation dampeners and leak containment products provide a significant cost savings by reducing stress on industrial pumps and preventing costly clean ups should a pump go awry. In addition to the Sentry product lines, Blacoh’s newest line is the AODDampener line, which is specifically designed for AAOD pumps. 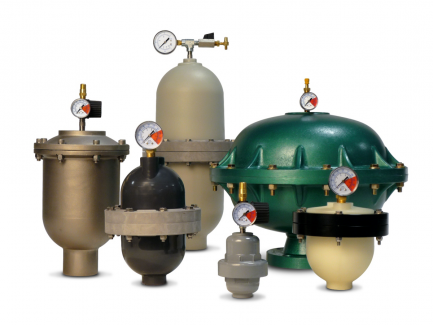 Sentry pulsation dampeners, surge suppressors, accumulators, and inlet stabilizers protect pumps, piping, valves, fittings, meters and inline instrumentation from damaging pulsations, cavitation, thermal expansion, hydraulic shock, surges, and water hammer. 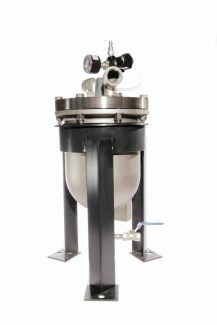 They create a smooth, steady flow to provide a uniform and calm flow of fluids. Availability in many materials ensures compatibility with any application. 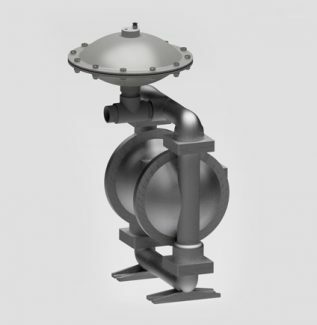 The AODDampener from Blacoh is uniquely designed for AODD pumps. Constructed of 316L Stainless Steeel with a PTFE backed diaphragm, this dampener can handle most applications and is great for off-the-shelf capabilities. 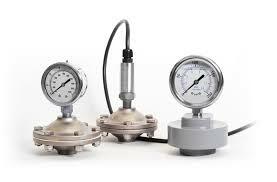 Blacoh Sentinel Guards are diaphragm seals that isolate process fluids from gauges and other system instrumentation. Process fluids that commonly contaminate and damage in-line instrument are protected from hazardous, corrosive fluids by a diaphragm. Not only does the Sentinel protect systems from harsh fluids, but also protects against freezing, prevents erratic surges caused by solids, and ensures reliability and accuracy of pressure instrumentation. Available in plastic, metal and PVDF materials. Blacoh Spillstop protects against a system failure or spill by using a fully pneumatic system to safely capture hazardous or messy process fluid that has leaked and automatically shuts down the failed pumps eliminating costly product loss and hazardous spills. There are also a warning alarm and backup pump switch over options to minimize system downtime. Blacoh Spillstop is available in many materials to meet your application requirements.